At NEEDaFIXER, we know that everyone’s role is critical to your film’s success. When everyone has their own responsibilities and can focus on a certain part of filming, your shoot will go a lot smoother. 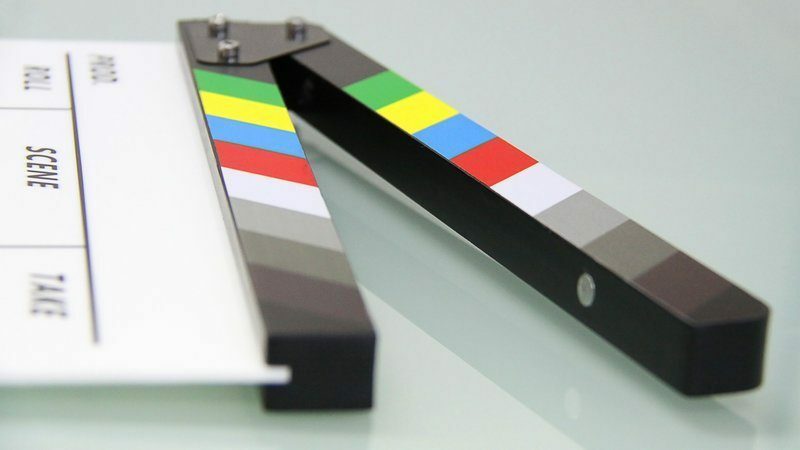 In this blog, we go over some of the job roles needed for film production. Then we explore what a film production assistant does. What job roles are needed for film production? Before we detail the job description of a film production assistant, let’s take a brief look at the various job roles involved in the film production industry. After all, each and every job role is necessary when putting a film together. The producer is the overall manager/leader of a film project and manages the project from start to finish. The producer manages the script, the budget and the staff on the project. Read more about how to become a producer here. The director oversees the shooting of the film and is at the centre of putting the film together. You’ll often imagine a director setting the scenes, placing actors and directing cameramen. They’re almost like a conductor of film scenes. The screenwriter ensures that the script appears natural to viewers and that the plot can be easily followed by the spectator. The art director is responsible for the set. They take charge of buildings, film locations, props and other elements where the scenes are set. Their aim is to make the set believable. The costume designer is responsible for the actors’ costumes. The costume designer will instruct make-up artists and dressers on how actors should look. Actors play the characters in a film and work closely with the cinematographer and director. The music supervisor is in charge of selecting suitable music for the production. The production designer is the first person to imagine how the script will be produced and, essentially, puts together the first ideas for production. How the film is produced essentially comes down to the production designer’s initial designs. The cinematographer is in charge of how certain lighting and photography features set the scene. Cinematographers ensure that the cameras are set at certain angles and under different lighting to capture scenes exactly as the producer intends. The editor is responsible for sequencing a film’s scenes so that the plot is portrayed in a clear and interesting way. The film production assistant is an entry level position on a film set and, essentially, supports the producer in the film making process. 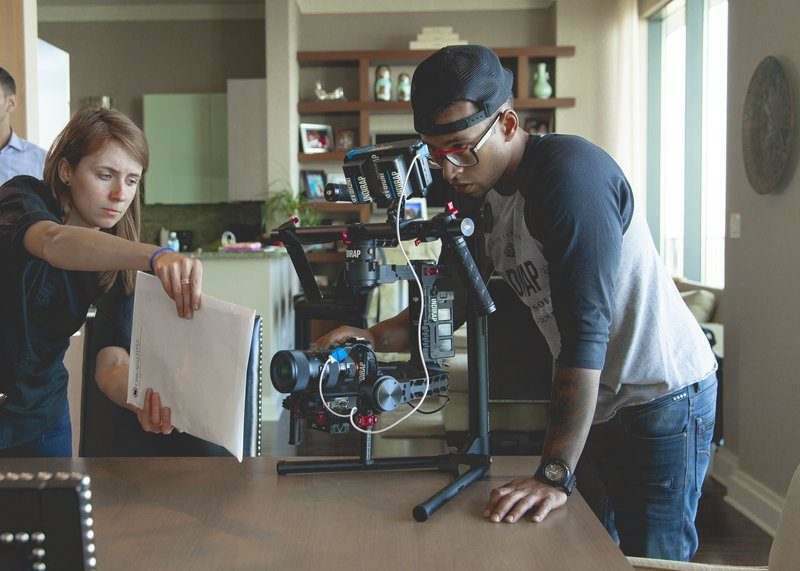 Because the film production assistant is an entry level role in a competitive industry, it is a popular job that requires determination and enthusiasm. Although it is entry-level, highly experienced film production assistants can earn up to £30,000. Starters will earn between £15,000 and £18,000. Making copies of scripts and distributing them. Writing and distributing production schedules (‘or call sheets’) and daily progress reports. Getting permission to use copyrighted music or film clips. Dealing with accounts and expenses. Booking hotels and organising travel arrangements. What skills do you need to become a production assistant? You don’t need any particular qualifications, such as a degree, to be hired as a film production assistant, but you will need strong IT skills and enthusiasm for the role. A film production assistant should have a strong initiative and motivation for working in the film industry. It is well worth gaining experience as a student – for example, spending time as a runner or junior production assistant. Maths ability – a film production assistant should be able to handle budgets. Creativity is important in this role, particularly when encountering problems. Film production assistants should be organised. They’ll need to pay thorough attention to detail. All film production assistants need lots of stamina and the determination to succeed. Film production assistants should be flexible with their schedule and willing to work unsociable and long hours. Any questions about the job roles involved in film production? If you would like to find out more about film production, job roles in the industry or how to become a production assistant, contact us at NEEDaFIXER. We’ll be happy to help.